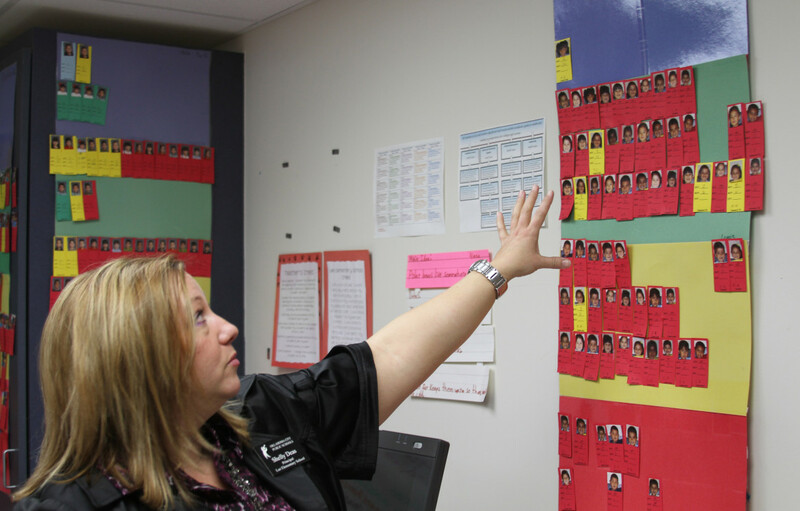 Shelly Deas, principal of Lee Elementary School in Oklahoma City, shows the school’s system for tracking achievement and improvement levels of each student. Students in blue are at the highest performing level; students in red are at the lowest. The results point to one of the biggest challenges facing educators, parents and policymakers in efforts to raise Oklahoma’s relatively low achievement in common education: boosting learning for tens of thousands of students who are in the bottom academic tier. That group is counted by the state as the bottom 25 percent of scorers in the math and reading parts of the Oklahoma Core Curriculum Test in grades 3 through 8 and in Algebra I and English II end-of-instruction exams in high school. Like other states, Oklahoma has put greater emphasis on using tests to measure not only students’ level of performance, but also their degree of improvement, or “growth.” The belief is that tracking growth will spotlight the ability of schools and teachers to raise achievement regardless of students’ levels of income or performance. Oklahoma and other states also track growth specifically for the bottom 25 percent at each school. Oklahoma basing a fourth of its controversial school letter grades on that measure. Schools with fewer than 10 students in the bottom tier are graded only on all students’ growth. Oklahoma Watch went beyond the letter grades to analyze Oklahoma State Department of Education data showing the percentage of students in each school’s bottom tier who made what the state defines as sufficient improvement on tests from 2012 to 2013. “Growth” is defined as moving up by at least one performance level, remaining at one of the highest two levels, or outpacing the state average in improvement of scores. The state uses four levels: unsatisfactory, limited knowledge, proficient and advanced. The results were compared to a list of the percentage of students on free and reduced-price lunch at each school, as reported by the state Office of Educational Quality and Accountability. The data shows that large percentages of “bottom-25” students at a majority of schools failed to improve, meaning the students risked starting the next school year far behind. Even at schools where less than a fourth of students are low-income, more than a quarter of test takers in the bottom tier made no improvement. In general, the higher a school’s percentage of students on free and reduced-price lunch, the greater the chance its lowest-performing students showed no improvement. That reflects statements by education experts that poverty not only goes along with low education levels, but also with low improvement. About half the students at schools where at least three-fourths of students are low-income failed to improve. Student absentee and dropout rates, lack of preparedness for school among young children, less parental involvement, and student health and wellness problems are more severe among the poor, said Tracee Frazier, instructional leadership director for Tulsa Public Schools. Overcoming those barriers can be a herculean task, she said. Among the more than 115,000 reading and math tests taken by the bottom 25 percent, nearly three-fourths were in schools where most of the student population is from low-income families. Still, Frazier and other education officials say the barriers aren’t insurmountable and should not be an excuse for failure. But a debate rages on over whether the state is doing its part to help the lowest achievers, beyond grading schools. Teachers and school leaders say more funding is critical. Some legislators and advocacy groups say competition, more than money, will make a difference. Caram, the assistant state superintendent, said the reading mandate, which requires third graders to read at grade level or risk retention, will help the lowest tier of students improve in all subjects. Critics say retention will harm their learning and social adjustment. Meanwhile, many schools find themselves doing remedial teaching, playing parent and social worker, and being tempted to focus on helping children on the “bubble” — just below passing a state test – to boost the school’s letter grade, some experts say. According to a 2013 study by University of Oklahoma and Oklahoma State University researchers who were critical of the letter-grade system, scoring growth using proficiency bands “encourages gaming practices that target students near the ‘bubble’ at the expense of lower or higher performing students.” Caram said he doesn’t think gaming practices are widespread. Mollie Miller, principal of Kerr Elementary School in Tulsa, says the school struggles to advance learning for low-performing students because so many have changed schools often. 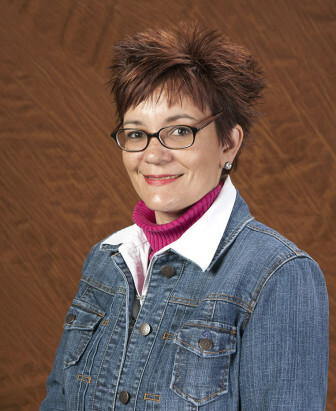 For Mollie Miller, principal at Kerr Elementary School in Tulsa, the progress rate for her bottom 25 percent last year was sobering. According to state data, eight out of 10 students in the lowest tier failed to make gains in math and six out of 10 did not improve in reading. “Obviously, what we’ve been doing in the last couple of years has not really worked,” Miller said. Kerr Elementary covers kindergarten through sixth grade; all students are eligible for free or reduced-price lunch. That extent of poverty brings complications that make learning growth very difficult, Miller said. One is mobility. Students counted in a school’s growth rating exclude those who arrived after the school year has started. But Miller said many children have changed schools or districts in previous years before arriving at Kerr, and that has added to their being behind academically. “If we have a child in first grade that comes to us and they’ve already been to six different schools from kindergarten to first grade, all that transitioning back and forth, they’re not able to have any kind of consistency,” Miller said. 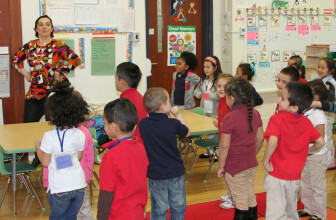 More than half of Kerr’s students are Hispanic, with many in English language learning classes. Miller said that program could use more funding. Teachers at Kerr are mostly trying to help students catch up. For a principal and teachers, achieving growth is a daunting task, but Miller said dramatic changes are possible. It requires knowing which teachers are effective in which roles, using limited resources wisely and efficiently, knowing what interventions to apply to what children and trying to get students and their parents invested in education. Miller and education leaders said the state and schools have taken steps to expand early childhood education, make subjects more relevant, create guidance and advocacy programs, push better reading, and give additional instruction to the lowest performers. The state also offers professional development to “teach teachers how to teach” in ways that students can comprehend the information, said Caram, assistant state superintendent. On a cold day last year, a young boy showed up in Shelly Deas’ office. The boy had refused to take a test in class, said Deas, principal at Lee Elementary in Oklahoma City, where nearly all students are low-income. Deas left the school and bought him a pair of shoes. As schools look for ways to address the learning problems of children in poverty, teachers and administrators also find themselves filling non-education roles more often: social worker, parent and provider. “We’re having to do society’s stuff. Our original purpose is to teach a child to read and write and do arithmetic,” said Caram. At Lee Elementary School, improving learning is hard enough. Despite academic gains in lower grade levels, the school saw less than a third of its lowest 25-percent of test takers make improvement in 2013. Deas has been principal at Lee for three years, and during that time the school has expanded its pre-kindergarten classes from a half-day to four full days, created partnerships with community businesses and other groups, hosted free dental clinics and provided eyeglasses to children. The school does not offer a full range of wraparound services, which are individualized programs for students and parents to help meet basic needs, and Deas said that model would likely bring about a drastic turnaround. Schools with many indigent children also end up playing the role of parent concerned about education. Generally, a parent’s education level determines their income, Caram said, and in households with low income and education levels, children often don’t get exposed to reading, a building block to all learning. Deas said most parents of Lee students are supportive. For example, more than 90 percent of students’ parents attended the last parent’s-night event, she said. But many parents don’t know how to help their child academically. “I think our families do support us here, and they want their kids to do well, but they don’t know really how to help them,” Deas said. Often, parents in poverty may be hostile to the school because of their bad experiences, said Frazier, the leadership director for Tulsa Public Schools.